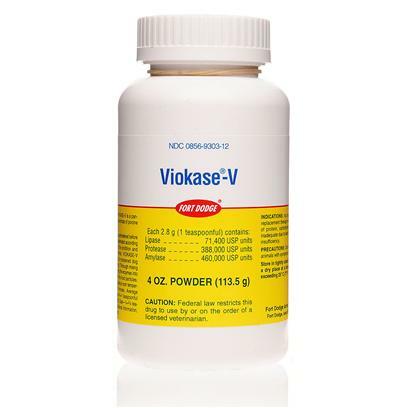 Viokase Powder is an effective digestive aid used in the treatment of digestive and biliary disorders. It is useful in promoting adequate digestion of proteins, carbohydrates, and fats in dogs. Options Available: 4 oz. 8 oz. 12 oz. Rated 4.5 out of 5 by 16 reviewers. The customer service is very friendly & helpful! Allowed my dog to live!